What are the chances of being a celebrity lookalike AND having the same name as the character in the Hollywood star’s new film? If you’re Max Kessler, they’re pretty high. The 23-year-old accountant has been told countless times that he looks exactly like Adam Sandler, and he has been a lifelong fan of the ’50 First Dates’ actor. Recently, Kessler’s friend shared the trailer for Sandler’s upcoming action comedy, ‘The Do-Over’, on his Facebook page, and it’s safe to say the New Yorker was shocked to hear the name of the 49-year-old star’s character: Max Kessler! 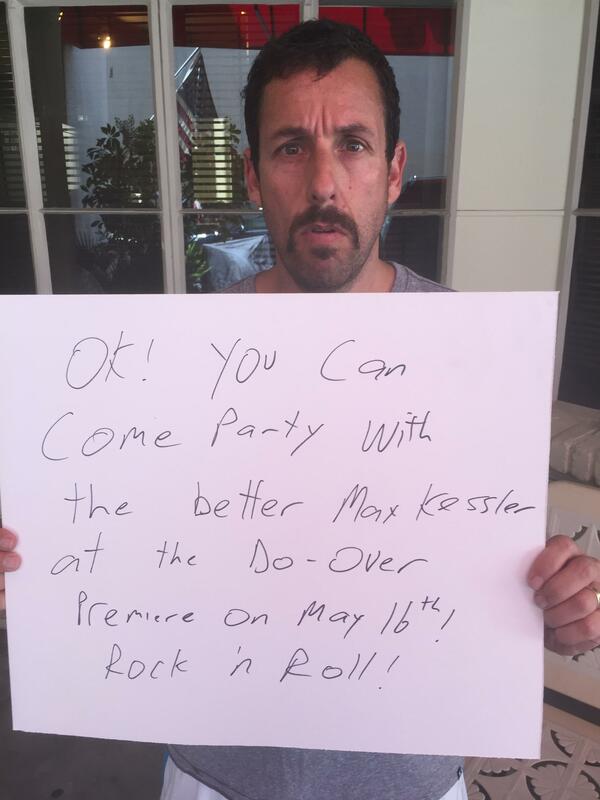 After watching the trailer, he posted a side by side comparison of himself and Sandler on Reddit, with the caption: “The name of Adam Sandler’s character in his new movie, “The Do-Over” is Max Kessler. My name is Max Kessler. Oh yeah, and I look just like him.” The image has been viewed by more than 7 million people, and the ‘Big Daddy’ star – who apparently has a Reddit account – responded to his lookalike’s post.